Ladakh is a little piece of paradise located at an elevation ranging between 2750 and 7672 meters above sea level. This land of mountain passes and monasteries is the star attraction of Jammu And Kashmir State. Ladakh is dotted with rocky cliffs, white dunes, high mountain peaks, hilly terrains and green fields. The place truly defines natural beauty and allures tourists from all across the world. It is one of the most beautiful and serene areas of the country where people can enjoy a holiday, away from the hustle and bustle of city life. Ladakh is a popular destination among adventure enthusiasts as it offers a wide array of adventure activities such as biking, mountain climbing, safaris and water rafting. As a tourist destination, Ladakh has much more to offer. From beautiful monasteries to valleys and lakes, Ladakh has everything to make it a perfect holiday. Whether you are a nature lover or an adventure enthusiast, Ladakh never disappoints you. Some popular attractions of Ladakh include Hall of Fame, Pangong Lake, Thiksey Monastery, Drass War Memorial, Zanskar Valley, Magnetic Hill and Shanti Stupa. With all this and more, Ladakh promises to sway away your heart at once. 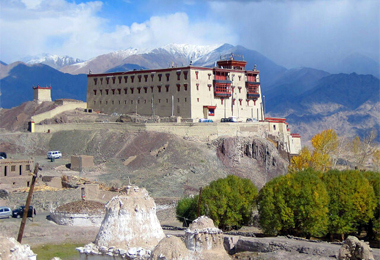 Ladakh has safely preserved the culture of the region in its monasteries and hotels. 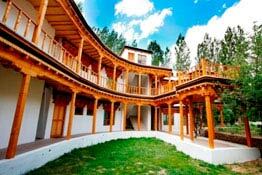 Lha Ri Sa Resort is a heritage style hotel that makes the guests experience the rich culture of Ladakh through its traditional ambiance. Staying here would be a memorable experience.